Development plans for the conversion of a historic Brooklyn warehouse complex into a distillery have been submitted to the Downtown Development Review Board (DDRB) for conceptual review. Here's a brief look at the Burlock and Barrel project proposed for the intersection of Forest and Magnolia Streets. 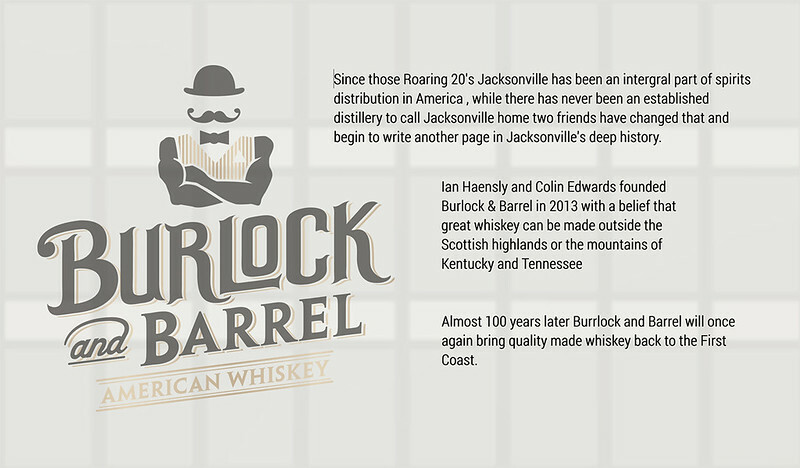 Burlock and Barrel Distillery will be setting up shop within a high-profile warehouse complex in Jacksonville’s burgeoning Brooklyn neighborhood, and plans to open Jacksonville’s first whiskey distillery in 2017. The distillery will be housed in a complex comprised of two masonry vernacular buildings. 476 May Street is a 3,818 square foot built in 1925 and 417 Magnolia Street is a 3,346 square foot building built in 1939. 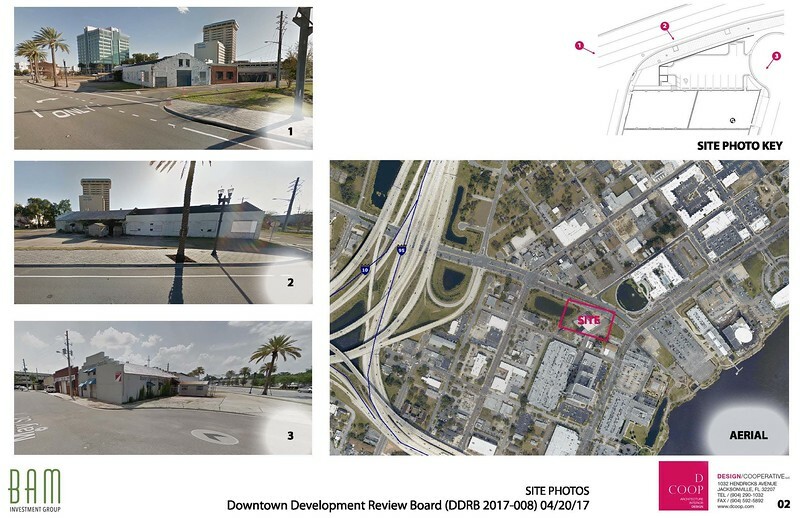 DDRB Application 2017-008 is before the DDRB seeking conceptual approval for the proposed distillery with on site point of sale located at the intersection of Magnolia and Forest Streets. The site plan shows an existing single story building that is being refurbished for the distillery and on site sale. The site has frontage on May, Magnolia and Forest Streets. The frontage on Forest Street includes an existing surface parking area parallel to Forest Street and adjacent to the existing building. Forest Street, a six lane east-west route is recognized as a primary entrance route to Brooklyn-Riverside District links to Park Street and Riverside Avenue. It is also noted Forest Street, Park Street and Riverside Avenue are major links of vehicle and pedestrian activity to and from the Brooklyn-Riverside District. 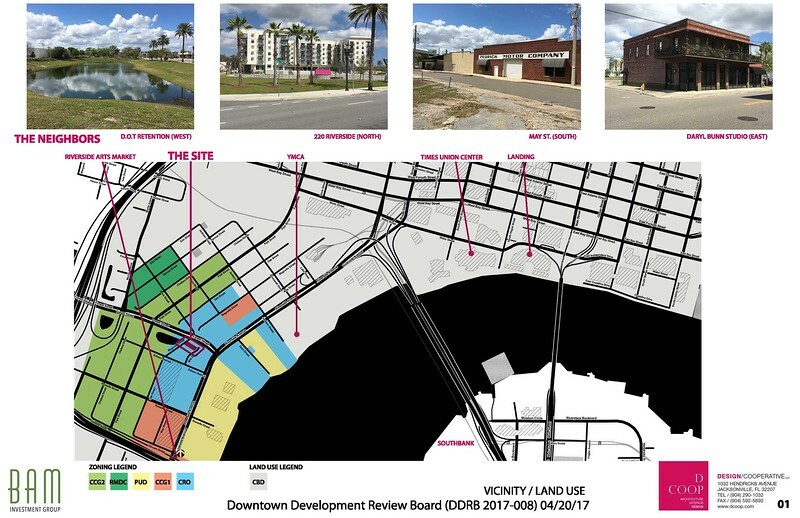 This includes the Five Points entertainment area, the Lavilla District and the Downtown Core. The unique site location, in context with the adjacent major vehicle connecting routes, along with the present surge of pedestrian urban theme redevelopment activity in the area, presents opportunities and challenges for a project to provide a complimentary development with the refurbishment of the existing building. The applicant is requesting Conceptual Approval and notes that prior to DDRB Final Approval the project will address deviations for: 1) surface parking screening (along the Forest Street frontage) 2) Streetscape design (along May and Magnolia Streets), and 3) transparency (existing façade) on the Magnolia Street frontage The staff review addresses the project using adopted urban design guidelines that provide criteria as to the finished built from, site configuration and streetscape design.